We support communities, organisations and networks to work together on the design of buildings, open spaces, homes and neighbourhoods. We work openly and collaboratively across disciplines and sectors to develop research, projects, events and practical resources. We are committed to sharing the learning from our work to help affect change for people, places and practice. Learn more about our different areas of work below. 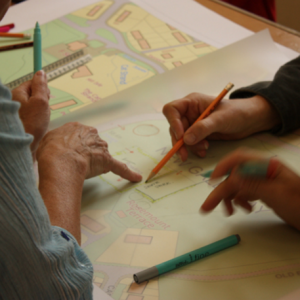 We enable a wide range of people and organisations to work together to shape places, such as the design of new housing, revitalising a green space or transforming a community building. Our independent, hands-on support helps to build confidence and capacity, to inspire, and to give people the agency to improve the quality of their neighbourhoods. We inject new approaches and processes that enhance the social and economic impact of designing places and inform policy and practice. Our support empowers organisations to rethink their culture and practice to support a more open, engaging and collaborative approach to shaping places. 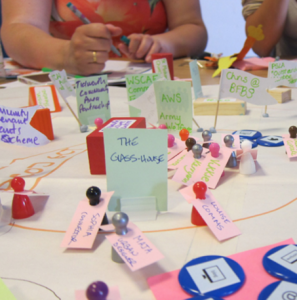 We undertake action research with partners across sectors and disciplines to explore the value and impact of empowering design practices in supporting people and places. Through our collaborations with partners and the communities engaged with our research, we develop and share new knowledge, tools and resources. 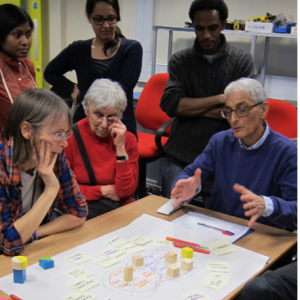 We create and facilitate interactive events and activities that help people from different backgrounds and professions work together and learn from each other. 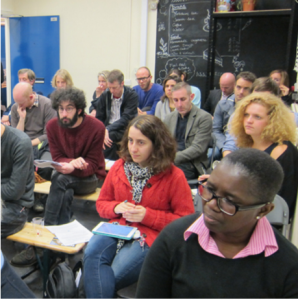 We also share our work on empowering design practices at conferences, workshops, lectures and other events that explore the connections between people and places. If you’d like to talk to us about how we can help, please get in touch.